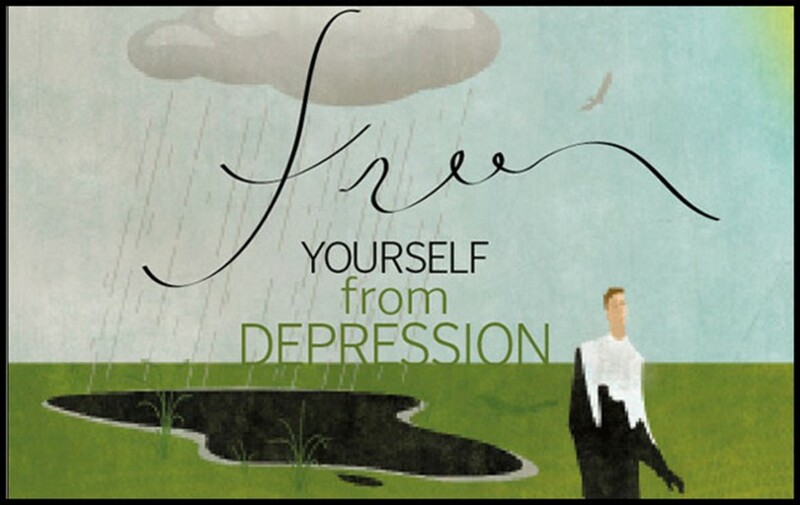 A very sensitive and taboo topic in India, depression was always swept under the carpet. Even highly educated and affluent families would rather hide it like a skeleton in the cupboard rather than seek help. Depression per se is a difficult thing to deal with, but it is not impossible to overcome. I do not know why there is shame and stigma attached to it when research says, one in every four people suffer from anxiety and depression. I see people around me in anguish, and their families feel ashamed about it, which is so sad. A depressed person needs support and understanding. 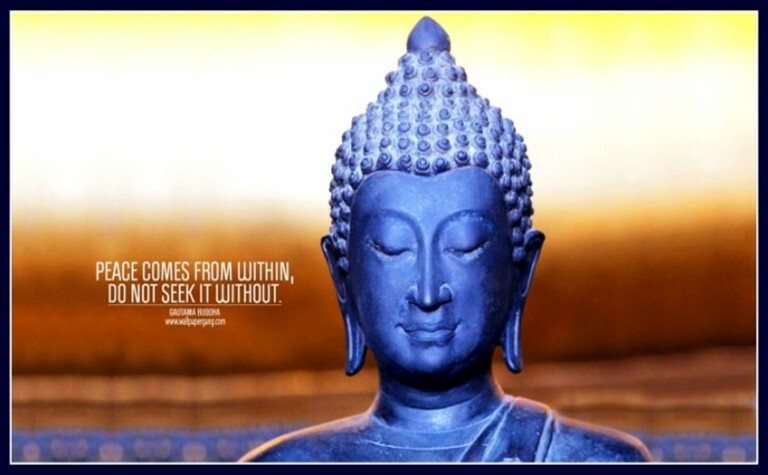 Gautama Buddha or Siddhartha, as he was named by his parents, was said to have seen an old man, a diseased man, a decaying corpse, and other suffering. In a small period of time became deeply depressed by these sights. He left home at age 29 and began his journey to seek answers to suffering. At 35, he attained Enlightenment and became known as Buddha, after 49 days of meditating under the Bodhi tree. Thus, one of the world’s greatest antidotes to the suffering of depression was born. Empathy and the truth about suffering were his major antidotes to depression and misery—antidotes for himself and for others. Although we have this great legacy of Gautama Buddha and we are quick with our sympathy, most Indians have no understanding of the word empathy. Is it too difficult to put yourself in the shoes of another person and feel what they are going through? Our culture gives much importance to will power and mental toughness (especially in men, who are not allowed to shed a tear) and is quick to label anyone who falls back as a spineless whiner. But people who have clinical depression are not sluggish or simply feeling sorry for themselves. Depression cannot be “willed” away. It is an illness, related to changes in the brain. Like other illnesses, it usually improves with appropriate treatment. Depression, unfortunately, is not taken seriously because it is not considered a serious condition, due to lack of awareness. Depression is real and it can ruin one’s life and even worse…kill. What is depression and how does a person feel? Depression is of two types-mainly situational and clinical. Failure is a huge factor for a situational type of depression, whether it is a game of sport, education, work or loss in the game of love. Failure makes you tend to feel helpless and lose faith in yourself, everybody and everything. It allows the negative thoughts to take over and to believe that things will never get better, no matter how hard you try, nothing seems to change. You are sucked right back down into a vortex of gloominess and pessimism. But this should not be seen as the end of the road. A few simple changes can get you back on track and on your way to feeling better again. The rat race and the ravenous greed for material comforts and competition at school or at work have become difficult to handle and result in brief or long spells of depression. The institution of marriage has also transformed a lot and instead of being a support system, is now becoming a cause for breaking down people, mentally. Many new moms experience the “baby blues” after childbirth. Anyway, my main purpose in writing this is to make people realize that it can hit anybody any-time. Do not despair because if you are aware and well armed with support from your family and friends and medical help, you can fight it off and emerge victorious. Here are a few of my tips that will help you to get out of your gloomy mood and embrace life once again. 1. The first step towards recovery is acceptance: Accept that you are depressed and only then will you be able to take the arduous path to recovery. So take this positive step first. Denial is the most detrimental and common problem. People are not ready to accept that they are depressed and need help. 2. The next step is to seek help from those around you, either friends or family members. You need a support group, so share with them, what you are going through, and ask for their help. But do not forget to seek help from a professional psychiatrist as well, to help you out of your depression. In India, depressed people are akin to the mad and so most people with their inane misconceptions avoid approaching a medical professional. So don’t waste time. If you think you need help, contact a psychiatrist at the earliest. 3. Avoid mulling over things: Understand that success and failure are normal parts of life, and you need to learn to take them in your stride. After any failure, do not keep pondering about it continuously. Try to divert your mind to other things in your life and learn to move on. Remember failure is the stepping stone to success. 4. Set small goals for yourself to get back your confidence. Don’t lose the spirit to bounce back. These goals should be simple and achievable in the short term. For example, you would take a shower first thing in the morning. When you achieve this small task, you get a feeling of confidence and then set another goal and so on. 5. Set a routine and stick to it. If you are fighting depression, try to get into a regular routine. I have learned that it helps to erase negative thoughts from the mind and instills a sense of purpose. 6. Healthy diet: You may have lost your appetite because of depression, but then do not skip meals or go the other extreme of binge eating. A healthy body results in a healthy mind. Although there is no specific diet that works for depression per se, a healthy diet can be part of the overall treatment. Eat healthy with plenty of fruits, vegetables, and whole grains to improve your physical and emotional health. Choose foods that alleviate your mood like banana or a chocolate. Research says that omega-3 fatty acids and vitamin B12 may ease the mood changes that are part of depression. Fatty fish such as salmon and low-fat dairy products contains omega-3 fatty acids. Vegetarians can take flaxseed, nuts, soybeans, and dark green vegetables, cereals and of course, supplements. My doc says that Serotonin,(maybe my bête noire ) a brain chemical that enhances the sense of well-being becomes less and that may lead to a bout of a panic attack. I munch on light carbs like, mashed potatoes, radish, carrot, popcorn, fruit, and whole grains that provide fiber and help create serotonin. 7. Get adequate sleep– Inadequate sleep and oversleeping are both symptoms of depression. Avoid both extremes and get into a regular pattern of sleep. Remember, it is not the number of hours you sleep, but the quality of sleep that counts. Some people with depression sleep a lot (like an escape from reality) while most find it difficult to sleep. Once you are on the road to recovery from depression, follow good sleep habits. Set a routine by going to bed and getting up the same time each day. Use relaxation techniques to help you fall asleep. Healthy sleep makes you feel better physically and mentally. 8. Medical research claims that exercise is a powerful weapon to fight mild or moderate depression, as it is said to release endorphins which are mood elevators. Exercise helps in inducing good sleep, boost energy and even self-esteem. It doesn’t have to be Zumba dancing classes or a high powered workout in a gym; it could be anything from simple household work or a walk in the park to start with. 9. A social support network can be a very helpful tool to overcome this depression. It could be your own friend circle or even an online support group. Joining a book club (like I did) or taking classes at your neighborhood NGO can help you connect with people on a regular basis. Staying connected with other people helps overcome the sluggishness, fatigue, and loneliness of depression to help you stay on track! 10. Hobbies would help you feel positive about life and yourself. Explore any avenue you like to explore your feelings and express what’s on their mind. Being creative can help you feel better. You do not have to become a Picasso or a Shakespeare but just do something that gives you pleasure. 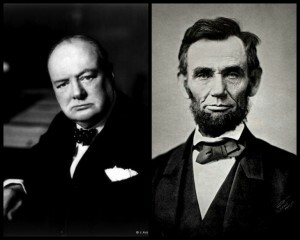 Abraham Lincoln, like other famous people like Winston Churchill and Mark Twain, who suffered from depression, used humor as an antidote to depression. Lincoln related jokes and funny stories to lift his spirits. Famous people found their own effective antidotes to their depression; like humor, writing, dancing, painting, work, exercise, emotional and loving relationships, compassion, courage, friend and family support, relaxation and travel, and metamorphic thinking and wisdom. 11. Stress and panic can increase your symptoms and make it really difficult to recover. The best way to come out of a panic attack is controlled breathing. Yes, it is not easy but if you try it with a family member or a close friend who could instruct you to breathe in and out for a few minutes, the anxious feeling could pass. Learning to mentally relax can help restore your frayed nerves into calmness. You might consider a yoga or meditation class; the Yoga-Nidra helps calm you down and lull you to sleep. Music is a great soother too. 12. Medication is necessary if the depression is long term or clinical. Antidepressants affect the levels of brain chemicals, such as serotonin. They take a few weeks to take effect and do keep regular appointments with your doctor who will keep evaluating you and adjust the dosage according to your recovery. Do not lose hope if one medicine doesn’t work, as there are many options these days. The combination of talk therapy and medication appears particularly effective. 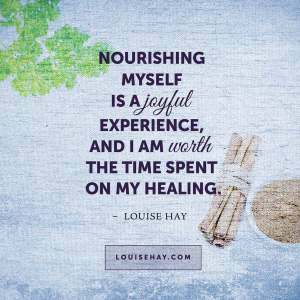 Recurrence is a possibility, but following the treatment you’ve chosen and tuning your life style to stay as healthy as possible would fortify your mind. Please DO NOT ignore these frantic cries for help; just be there for them as you could be saving a life or lives! I sent out message for help on Whatsapp and no one responded. I would have killed myself hadn’t it been for my guardian angel friend, who lives far away and just called out of the blue. She just heard my voice and asked me to come to her city for therapy and I was clutching at straws and this straw helped me from drowning. Yes, she saved my life, you can too if you respond to pleas of help. If you are suffering from depression and want to beat the blues, do ping me anytime and I will be there for you. Thank you Harjeet Kaur for your tips and your efforts to bring awareness to stop the stigma! 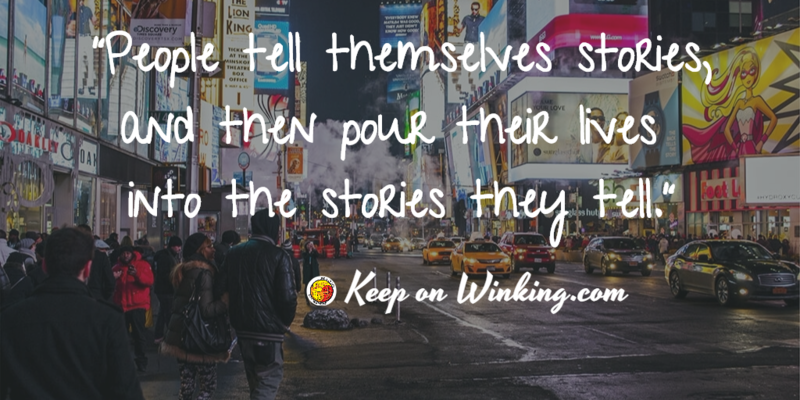 Winkies if you have a moment please visit Harjeet Kaur’s blog at Anecdotes of My Life where she also shares easy meals for singles. Like this rice cake with chutney and sambar! As a former sufferer of clinical depression I can still find myself susceptible to mild forms of depression without any rhyme reason or forewarning. I find doing something useful or exercising does help. These are very good tips! Military spouses, it seems, are at increased risk of situational depression, given that we relocate so frequently and spend so much time separated from our primary support networks. In our family, we’ve had four homes in the cities and two countries, including three military duty stations, in less than four years. During those years, my husband had a 9-month deployment, we adopted a second dog, we had our first child, and we’re almost ready to welcome our second one. Talk about a lot of life changes! I’ve found that exercise, a balanced diet, and the humility to tell friends or family that I’m struggling are all keys to keeping my mental health in check during challenging times. Thanks for a thoughtful, insightful post! I love seeing the mental health surveys in the military, especially when they ask how many life changes you have had in a year! Exercise and diet can play a big part in my mental health. Although I confess, I’m currently not motivated to leave the house in the cold! I am curious -what does your balanced diet look like?